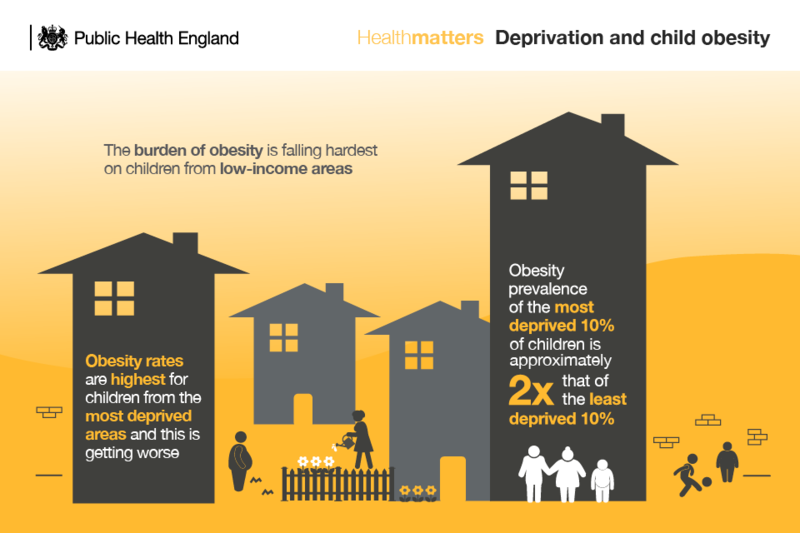 Socio-economic factors can also contribute to obesity, in a way that more affluent areas are more likely to have a lower proportion of individuals that are obese than those who live in deprived areas. In fact, the highest rate of obesity in the most deprived area of the UK is located near to the north east in places such as Boston with a 32.6% proportion of the population in the area being classed as obese. The more affluent areas, such as central London, in places such as Kensington and Chelsea, the rate is substantially lower, at around 20%. Reasons that reflect the statistics is that an increase in fresh produce through inflation and Brexit, has led to an imbalance in food prices. This means that healthier fruit and vegetables are more expensive than unhealthier processed foods, due to excess tariff costs associated with international trade links of non-European countries. This was seen in April 2017 where it was documented that after Brexit was announced in 2016, the average household were spending £21.31 more on shopping for fresh produce. People in more affluent areas also have more access to open spaces and facilities that promote exercise such as the gym. Linking this to childhood obesity, the barrier of access to open spaces in deprived areas means that most of these children will face obesity during adulthood as well. Education also provides a role in bringing to the public’s attention. People who are more aware of the dangers of excess fat and lack of exercise are more likely to be encouraged to find a solution, whereas people who are less educated in terms of what is considered a healthy lifestyle, tend to not be aware of the dangers that it poses, or the importance of it. Cardiovascular disease is usually associated with restricted blood flow to and from the heart, which causes problems such as death of tissues leading to heart failure and angina. CVD occurs when fatty deposits from saturated fat build up within the artery, blood pressure increases as the size of the lumen decreases, this therefore means that the same volume of blood is flowing through a smaller space, meaning higher blood pressure. This high blood pressure results in the increased risk to damage to the endothelium. When the endothelium is damaged there is an accumulation of fats, calcium and cholesterol within the breakage. 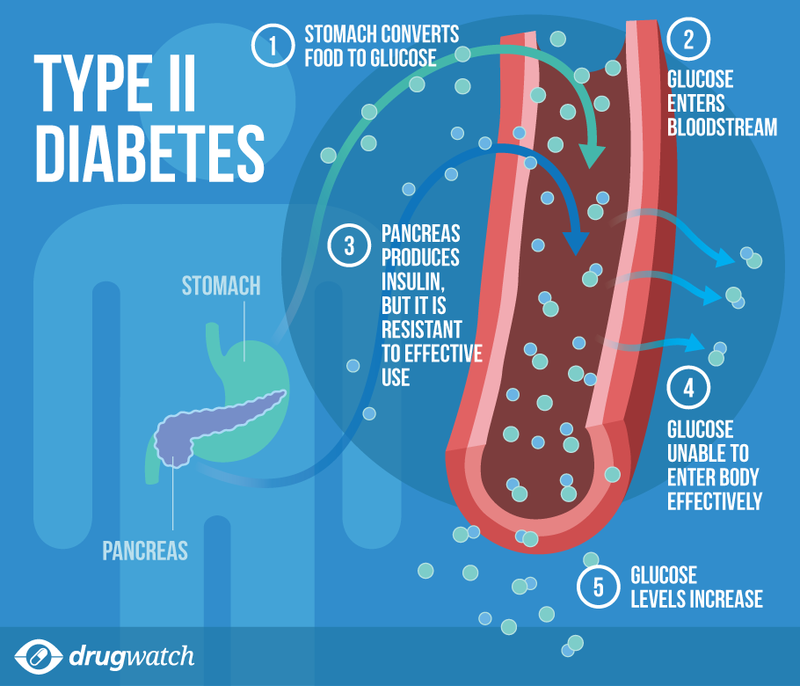 Chemical reactions then occur which allow the cholesterol to oxidised, initiating an inflammatory response, releasing chemicals that are identified within the blood. Monocytes then travel to the damage site, which then, via the stimulation from oxidised cholesterol convert into macrophages. The macrophages then digest the cholesterol molecules, which form foam cells, which in turn accumulate to a plaque. The artery then continues to produce smooth muscle cells which also deposit at the damaged site, firming the plaque resulting in a fibrous plaque. If this occurs within a vessel in the heart, it could cause the death of a specific area in the heart, as the atheroma means that blood cannot reach the area, thus oxygen cannot be delivered to the respiring cells. This also occurs within blood vessels in the brain, causing thrombosis whereby the blood supply to the organs is completely cut off, thus causing the brain to be starved of oxygen, hence temporary paralysis if not treated in time. Some of the other symptoms include, weakness, difficulty breathing, and facial numbness due to areas of the brain not being able to function properly as of the lack of oxygen, thus the cells cannot respire completely.